Communities in northwestern Alberta are being told to brace for freezing rain. Environment Canada issued freezing rain warnings Monday for areas including Grande Prairie, Beaverlodge, Valleyview, Peace River, Slave Lake Fairview, High Prairie and Wabasca. 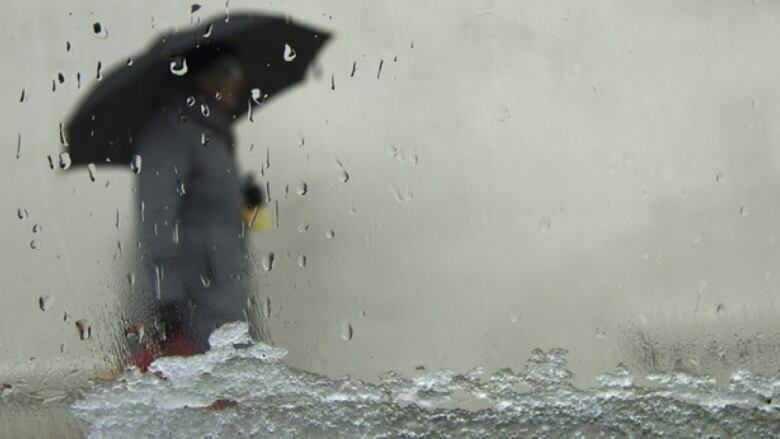 An area of patchy freezing rain developed over the Grande Prairie and southern Peace River overnight Sunday, Environment Canada said. The freezing rain is expected to move east into Red Earth Creek and Slave Lake later Monday morning. Drivers are being told to brace for icy conditions as highways, roads and parking lots may become slippery during the cold drizzle. The freezing rain is expected to clear by noon. There is a slight risk of freezing rain in Edmonton Monday. Today: Mainly cloudy with 30 per cent chance of flurries this morning and risk of freezing rain. Clearing this afternoon. High 3 C.
Tonight: Partly cloudy. Wind up to 15 km/h. Low minus 3. Wind chill near –7. Tuesday: A mix of sun and cloud. High of 3 C.